If you have ever been involved in imaging, you know that the final product is a direct result of what is seen when you process. If what appears on a monitor is misrepresented, the final product will be skewed as well. I think we can all agree the factory settings that monitors come with don't always give you the results hope for. 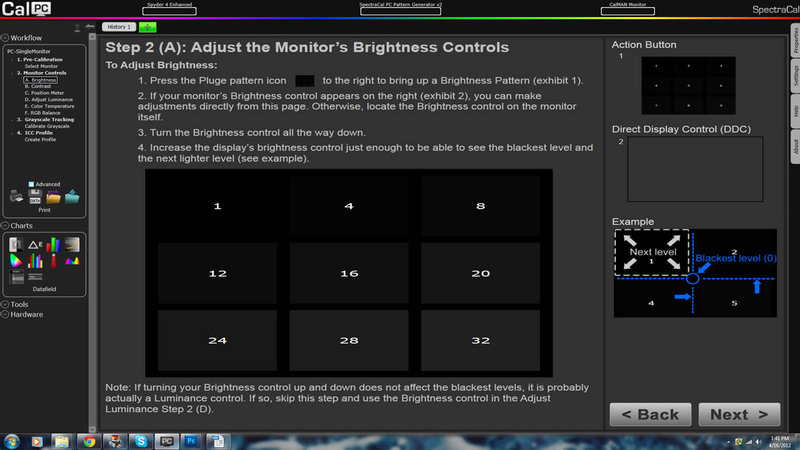 This is because a monitor's display is affected by the brightness and color temperature of the room it's in. 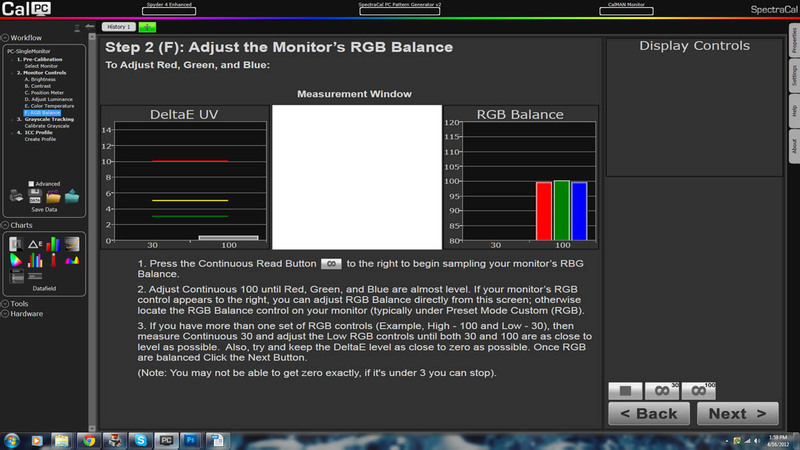 That's why it's so important for anyone involved in photography or video to keep their monitors correctly calibrated. 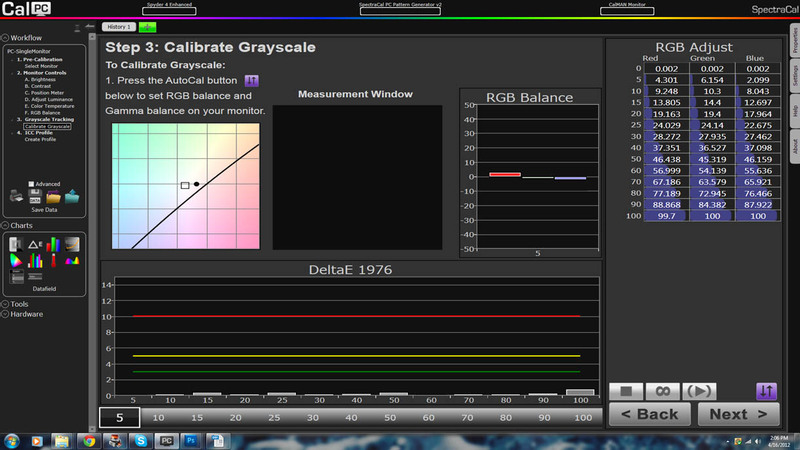 I recently received the SpectraCal CalPC w/ C1 colorimeter package to check up on my own monitor's color health. 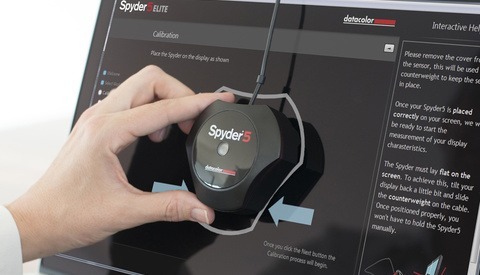 The package came with the CalPC calibration software, the C1 colorimeter, an enhanced OEM version of the new Datacolor Spyder4 meter. I work on an HP 2211x 21 inch LED monitor which I haven't calibrated since I first acquired it. I was surprised at how much adjustment was needed and was quite happy with the results provided by the CalPC software and C1 meter. The package I received came with a DVD, installation instructions, the SpectraCal C1 colorimeter, a mount for the meter, and a suction cup for CRT monitors (not to be used on LCD screens). The USB cord connecting the SpectraCal C1 to the computer is about 6 feet long, an adequate length for any desktop set up. 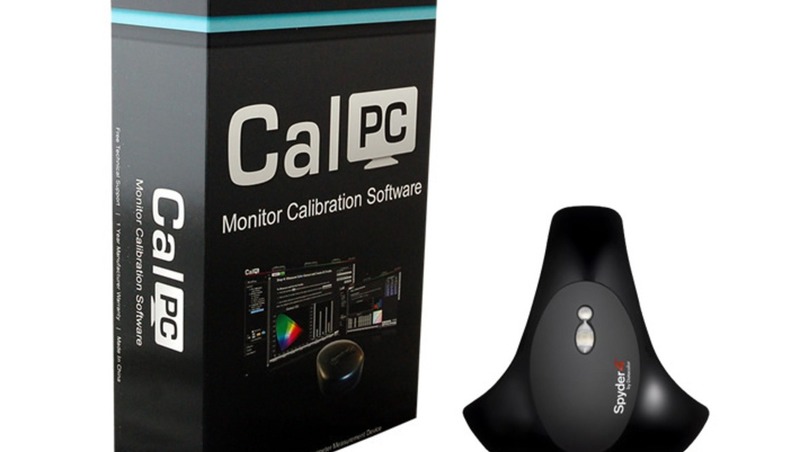 The last part of the package included directions to the latest version of CalPC calibration software, which can be bought and downloaded on the SpectraCal website. When you first start the CalPC program, there are a few simple set up instructions. The directions are clear and easy to follow. 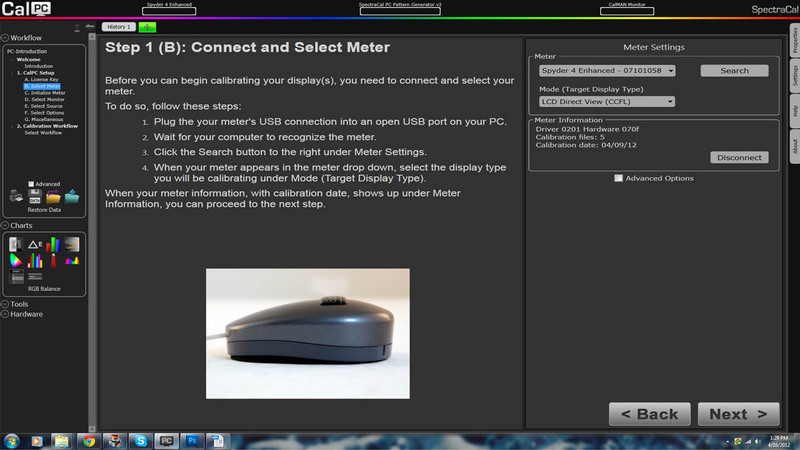 Once you've connected your meter, initialized it and selected your monitor type, the program gives you options to customize color preferences and units. Although I only calibrated a single monitor, there are options for multiple monitor set-ups. The calibration process takes you through calibrating brightness and contrast using a visual guide. Once you've adjusted those accordingly, the meter needs to be positioned on your monitor. This was one minor area of inconvenience for me as I wasn't sure how to keep the meter positioned correctly and conveniently, since the suction cup is not supposed to be used on LCD monitors. At first I held it in place with my hand, but then I realized it could be draped over the monitor and remain in place. There is a counter weight on the cord of the Spyder 4 that is meant to be placed on the opposite side of the monitor to keep it positioned correctly. Once the meter is positioned correctly, there are three steps to measure Luminance, Color Temperature, and RGB Balance. Although some monitors are more convenient than mine having Direct Display Control (DDC) control that allows for in-program setting adjustments to correct balance issues, I had to manually change my monitor settings to adjust accordingly. The final calibration step is the grayscale. This step was simple because the AutoCal auto-calibrate option did all of the work for me. 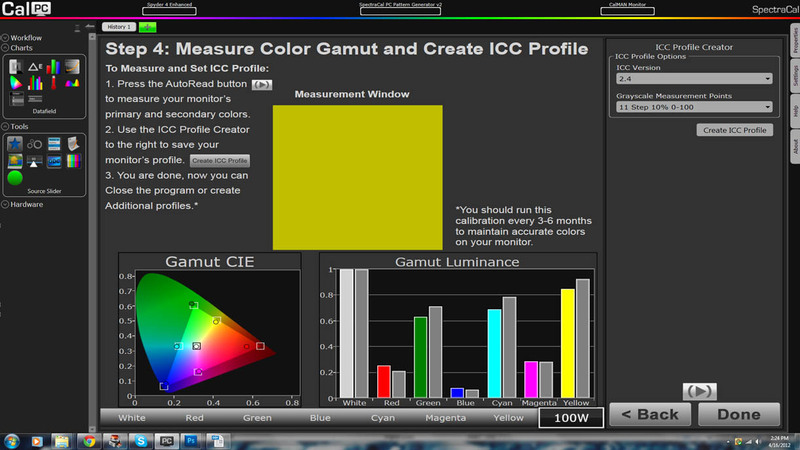 The last option you have with the program is to measure the color gamut and create an ICC Profile. This allows you to take a snapshot of the proper settings for your monitor and keep them for a later date. Here are the results of the final step. 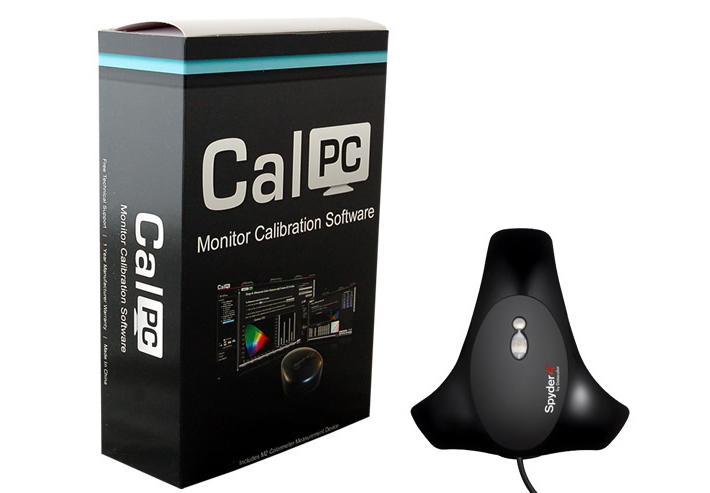 All in all, I was quite impressed and satisfied with the SpectraCal CalPC software and C1 colorimeter. The process only took me about 30 minutes from the moment I opened the box to the completion of the monitor's calibration. Since I'm now fully aware of the steps, further calibrations will probably only take me 5 minutes. Since calibration is only required every 3-6 months, I'd say the maximum 20 minutes a year spent on keeping my final images properly color balanced is worth it. The CalPC software is simple to install and was just as simple to use. The step by step instructions were clear and easy to accomplish. 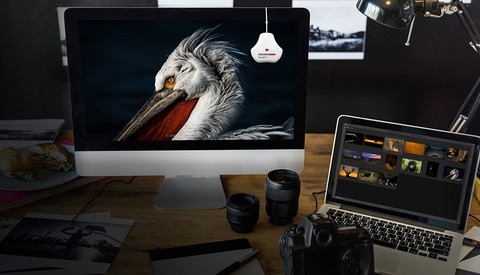 Although I used the software with the C1 colorimeter, CalPC can be used with a wide variety of colorimeters; it doesn’t have to go hand in hand with the c1 colorimeter. 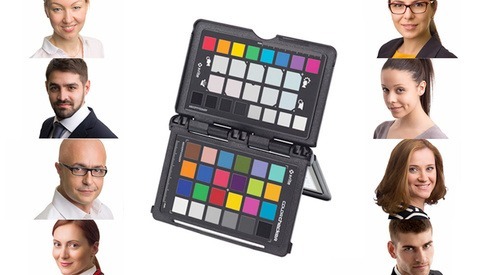 The SpectraCal C1 colorimeter is light, durable, which makes it easy to store. The mount it comes with also makes it convenient to keep on your desk. The design is intuitive in conjunction with the software. 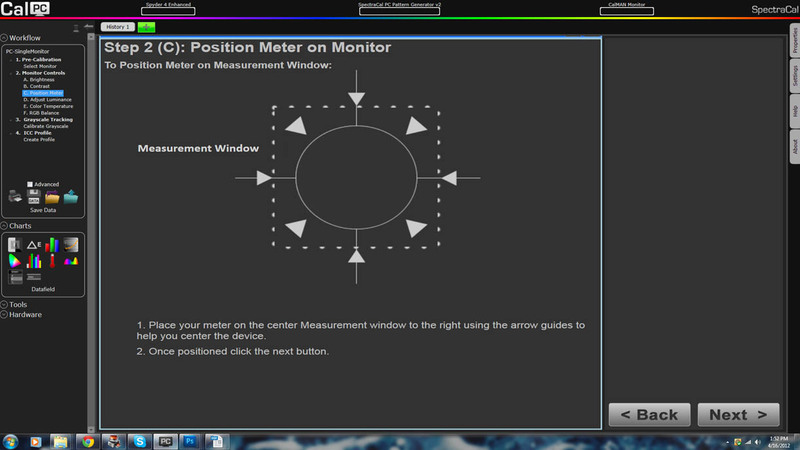 It should be easy for any user to understand where to place the meter on the monitor. The meter works quickly and efficiently when taking snapshots of the display and provides accurate adjustments. Another perk to the SpectraCal C1 colorimeter (which didn't apply in my case) is the ability to use the meter with many different types of displays. Although I only used it on my PC monitor, the unit is fully capable of calibrating laptop displays and TVs and projectors with the SpectraCal’s CalMAN software. For those interested in a complete home package for calibrating your TV and PC displays, you can create a hybrid software solution with the CalMAN DIY software and the CalPC add-on license. 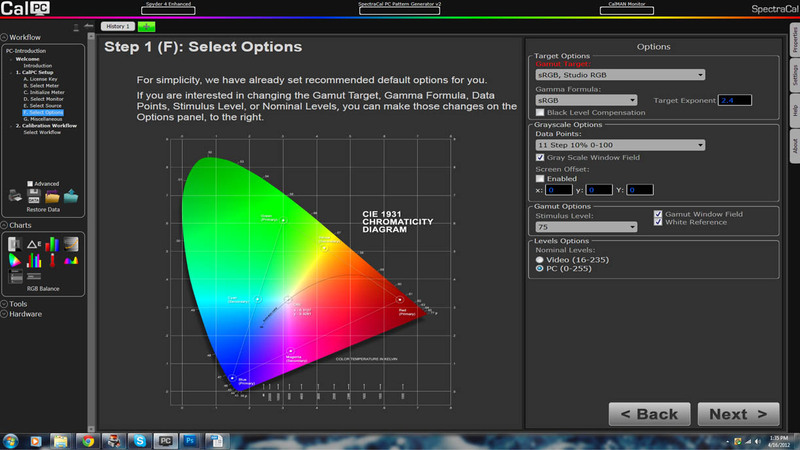 "The last option you have with the program is to measure the color gamut and create an ICC Profile. This allows you to take a snapshot of the proper settings for your monitor and keep them for a later date"
I think you missed some vital info with this. The purpose of the ICC is not mainly to keep settings for later use, but to use the ICC profile in conjunction with the hardware calibration for best result. The ICC tells your GPU by how much the monitor differs from the standard and thus the GPU sends the "wrong" colors to counter that. It is true however that the ICC is specific for the monitor used at the time and each monitor needs their own ICC profile. Also, screens change their characteristics as time goes and a new ICC profile should be measured and assigned each time you re-calibrate your monitor, if picky. And they not having mac support? shame... right now im using Spyder3 whit ColorEys Display Pro software, excellent colors. Great point Jockemon, thanks for including that.